22 January, 2018, Cairo, Egypt: Senior real estate stakeholders, experts, and government officials converged at the Nile Ritz-Carlton last week Thursday to discuss the feasibility of a partnership between the public and private sector, investment opportunities in Upper Egypt, and the real estate sector’s contribution to the national economy. 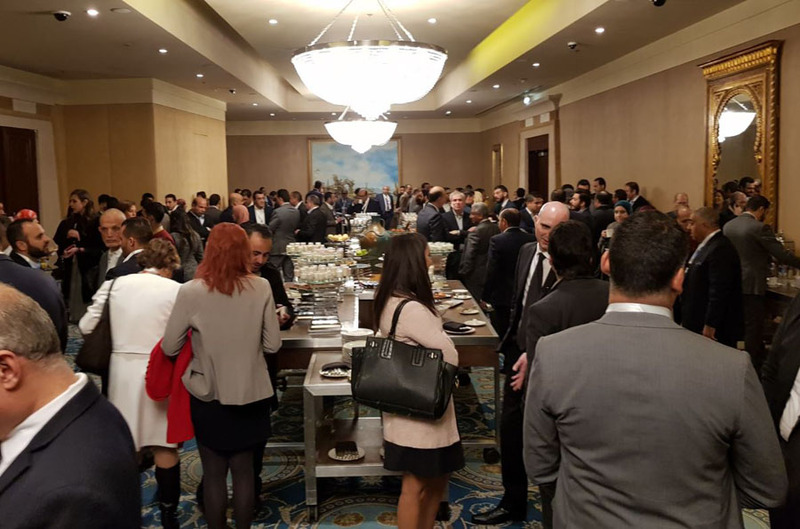 The Business Breakfast, a prelude to Cityscape Egypt called attention to the ongoing development and progress of Egypt’s real estate sector, focusing on the future of the industry in the country, and discussed various measures to improve and support the sector. Khaled Abbas, Assistant Minister of Housing for Technical Affairs, highlighted the government’s plans in his keynote address: “The Ministry of Housing is waiting for the New Urban Communities Authority (NUCA) to finalise the launch of the second phase of new land plots for investments in New El Alamein and New Mansoura cities within April 2018. The launch will take place following the conclusion of all infrastructure and facility works in the two cities,” he said. As part of the government’s plan to develop Upper Egypt, the Ministry will look to launch land plots in West Assiut and New Qena in April. “The ministry will allocate large plots of land to individuals in these cities at attractive prices with the aim of motivating internal migration into these cities thereby alleviating the pressure from a densely populated Cairo,” he said. On the topic of encouraging the private sector to venture out of Cairo, Eng. 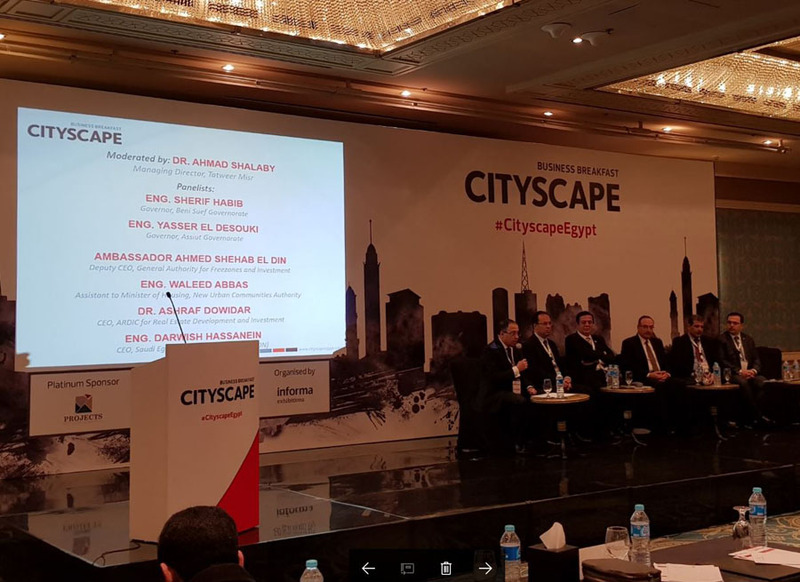 Fatahallah Fawzy, Co-Founder of MENA Group and Chairman of Cityscape Egypt Business Breakfast, said the map of distribution of investments should be reviewed to include governorates and cities outside Greater Cairo due to the demand and scope of investment opportunities. “In many cities the state has sought to improve its infrastructure and implement facilities and projects,” he says. Fawzy maintains that developing cities outside Greater Cairo fulfils an important economic goal in Egypt’s 2030 Vision. “The country must develop a clear strategy to attract investment in the governorates. It is necessary to develop long-term construction plans for a period of 10-years and to announce investment opportunities and the projects that will be implemented from the infrastructure, services, and transportation side to absorb the population increase and provide job opportunities, instead of forcing many to migrate to the capital,” he said. Speaking to a packed room, Eng. Sherif Habib, Governor of Beni Suef discussed the vast investment opportunities available in the governorate, revealing that it is one of the most promising emerging markets. Beni Suef is known for its industrial regions and position as a leader in botanical produce. As a result, Habib explained that there would be a new integrated community project built in the governorate with the goal of creating an integrated urban, industrial, and agricultural area; this includes the largest industrial agricultural community of urban medicinal and aromatic plants on an area of ​​69 thousand feddans. The project is part of the government's plan to stimulate industrial growth in Upper Egypt in line with the country's 2030 vision for sustainable development. Also, returning to the Four Seasons Nile Plaza on the 13th is the Cityscape Awards for Real Estate in Egypt, which celebrates excellence in real estate development, architecture and forward-thinking leaders. The highly-anticipated Cityscape Egypt exhibition then takes place on the 28th – 31st March at its new venue the Egypt International Exhibition Centre (EIEC) in New Cairo. The show kicks off with exhibitors from Egypt who will showcase projects from across the real estate spectrum, both from Egypt and around the world. This year’s platinum sponsor is PROJECTS for Real Estate Development, who will showcase its latest project Blues Tiffany in the North Coast.